2+0.38+2mm,3+0.38+3mm, 4+0.38+4mm, 5+0.38+5mm,6+0.38+6 mm, 8+0.38+8mm etc..
0.38mm, 0.76mm, 1.14mm, 1.52mm, and the multiple of 0.38mm. Clear, Ultra clear, Bronze, Golden bronze, Green, F-green, Blue, Ford blue, Euro grey, Dark grey, Pink, etc. Laminated glass is normally used when there is a possibility of human impact or where the glass could fall if shattered. 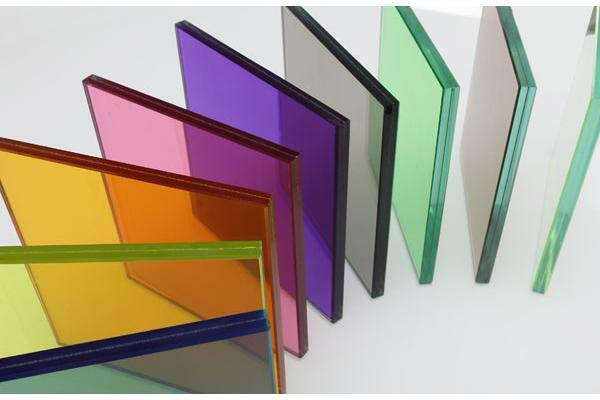 Skylight glazing and automobile windshields typically use laminated glass. In geographical areas requiring hurricane-resistant construction, laminated glass is often used in exterior storefronts, curtain walls and windows. The PVB interlayer also gives the glass a much higher sound isolation rating, due to the damping effect, and also blocks 99% of incoming UV radiation.